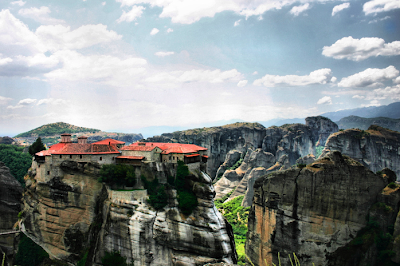 The Greek word Meteora means “suspended in the air”, and our words meteorite and meteorology come from the same root. 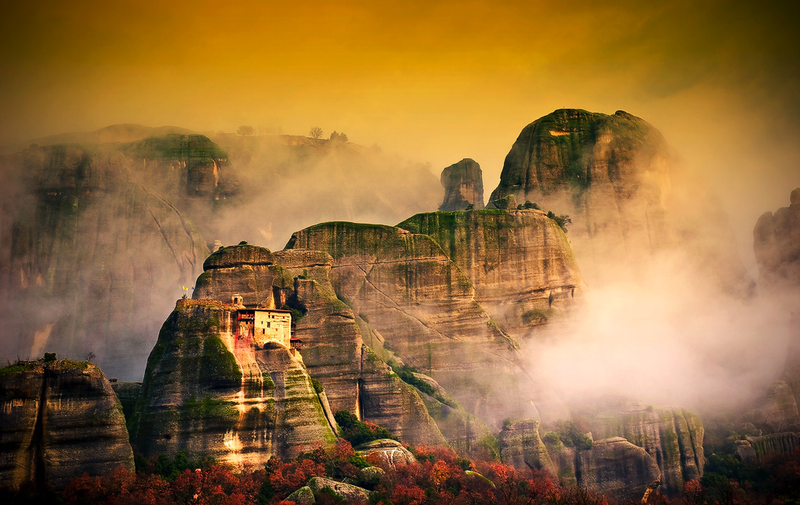 The conglomerate rock at Meteora, Greece, has eroded into fantastic peaks upon which medieval monks built monasteries, several of which are still active. The isolated monasteries of Meteora helped keep alive Greek Orthodox religious traditions and Hellenic culture during the turbulent Middle Ages and Ottoman Turk occupation of Greece (1453-1829). In 1988, UNESCO declared Meteora to be a World Heritage Site. 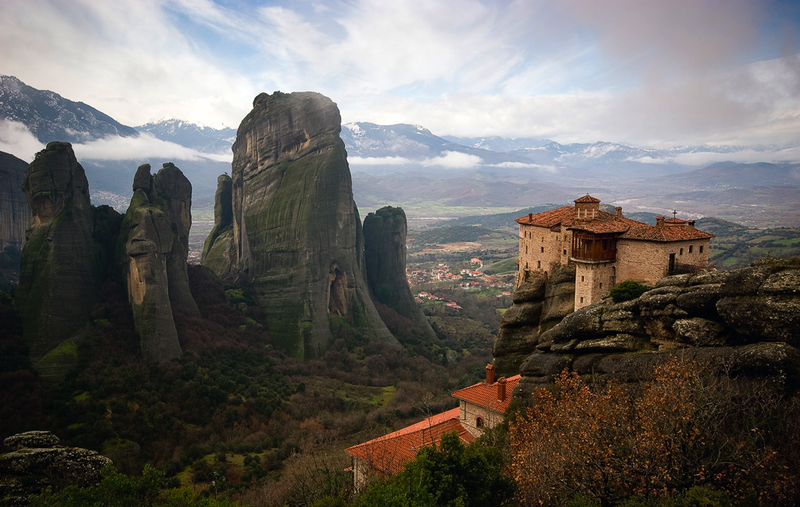 It is also only a few hours away from Mount Olympus which is open for hiking and exploration. Good parts of the area to stay in are Kastraki, which is a small town with awesome architecture, cobble streets, and monasteries. 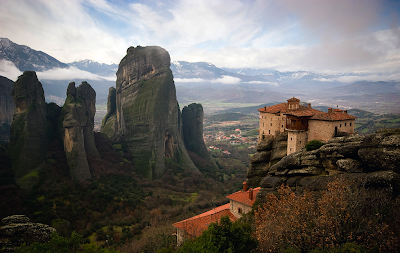 Also, the larger town of Kalambaka is recommended.